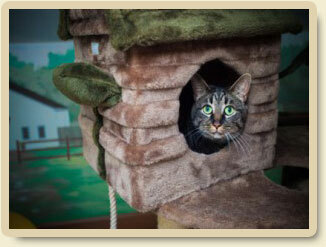 The health of all our guests is a top priority at Morris Animal Inn. All feline guests must have current vaccinations for both rabies and distemper. Certification from a veterinarian is required from each of our guests before admittance can be allowed. If your pet requires an updated vaccination please make arrangements for the vaccination to be administered no less than ten days before any boarding time is scheduled. Titers will also be accepted with proper documentation. We take special pride in our quality staff who are OPCLC certified for Animal Care and demonstrate passion for animals in all that they do!